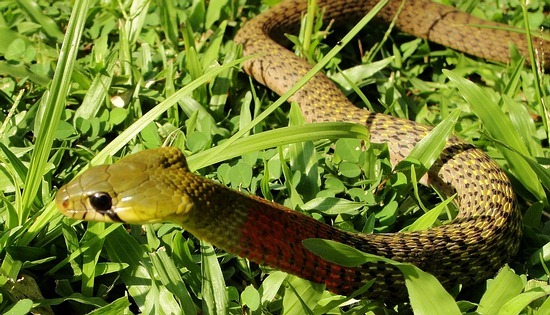 Just a pic – wanted to share this Thailand snake before I forgot…. 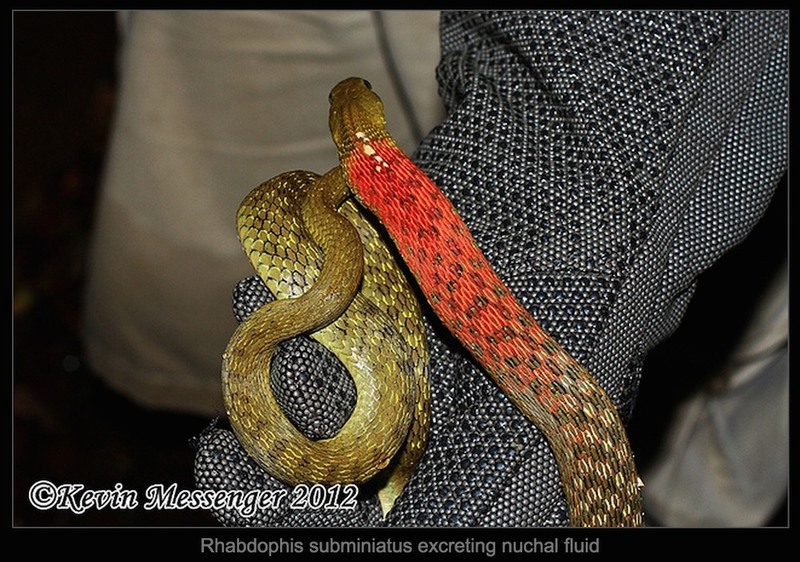 Rhabdophis subminiatus, Red-necked keelback. Venomous and dangerous. 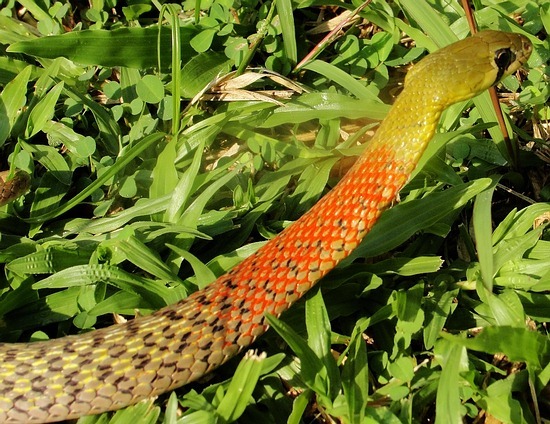 A boy, 12 yrs old, in Phuket, Thailand was in the Bangkok hospital for 2 weeks after a bite from this snake. 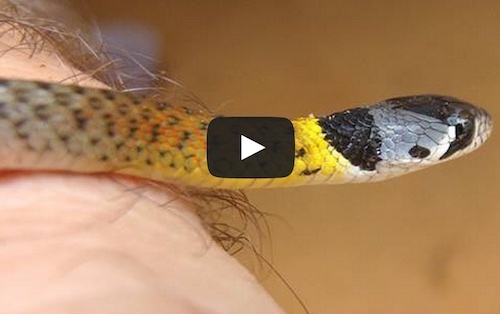 The venom specifically attacks the kidneys.